For my first entry in the series of “Looking back” I’m taking a trip down memory lane to what the launch game Wipeout and the series did for gaming, and why it meant so much for my generation of gamers. I aim to look back at other games and series too, so we can see the evolution videogames have gone through. Once in a while there are just these games that come along and blow you mind when you see them for the first time. Sure the anti-gravity racing theme had been touched before in games, such as the excellent F-Zero on the Super Nintendo, but it lacked something to keep the player hooked for hours on end. Something more explosive, something more unpredictable and it had to sound awesome. You see my parents grew up with a vision of the future being all this sterile, white and shiny looking, with The Jetsons sort of homes, buildings and flying cars. It all looked like it was so perfectly clean and great looking. My X generation on the other hand grew up with movies and videogames depicting a dark, fallen apart and worn down future filled with 90’s techno music, aggressive inhabitants and life threateningly dangerous sorts of sports and competitions for amusement. Wipeout followed this fashion perfectly. I remember the day still, this young toyshop owner put the Wipeout game disc in the PlayStation at the store and powered up the console. I believe this was the first time I saw the PlayStation in motion. The year was 1995. Me and a friend were beginning to be a little old to hang out at toy stores like this and slowly realising that we were growing out of endless 2D games with cute characters jumping around on platforms collecting coins, rings or cuddly bears. Low and behold, the amazement of Wipeout! After a fantastic CGI sequence depicting an adrenaline filled race start, we were greeted with a thumping techno soundtrack and flashy menus. Clearly designed somewhere elsewhere than Japan, because it actually looked fashionable, not just colourful and annoying. The game itself moved at such incredible speed, the anti-gravity feeling was amazing, the music was actual music from famous technogroups and the graphics were jawdropping. It was this “package” that made the whole game simply stand out for a teenage audience. Finally gaming had moved on for home consoles to something for “older kids” and not just endless games designed for children. From the moment I saw this, I knew Sony were going to blow away the completion and revolutionize gaming from the childish 2D era into something much larger and greater. They had taken a jump into the future and they timed it perfectly. Thanks then to the powerful 3D capabilities of the PlayStation that made the Wipeout graphics possible and the cd-rom that made the music change from brain damaging midi “pling-plong” sounds to real music and quality stereo sounds. But eyecandy alone doesn’t make a game, the gameplay does. While the first Wipeout game was unforgiving with it’s touchy crash physics it held a unique feeling when manoeuvring the anti-gravity spaceships you raced with. They felt like they floated on air, they would bounce up and down from hard landings and you could slide in and out of corners with it left and right airbrakes. It felt so amazing to play and totally different from car racing games. Add the speed and the weaponry you could pick up in a race and shoot down the completion with, it all came together as a real adrenaline ride. If you were so lucky to own Namco's NegCon controller, that twisted in the middle for steering, you were in for gaming heaven! The game required, like most arcade style racers, that you take time to perfect each track, fly in a good racing line, brake perfectly and so on. Then you would get over the fact it moved so quickly and start to focus on being good with the weapons. Firing down ship after ship. For people watching you play it looked advanced and difficult, and in a sense it was, but goddam it was fun! An adrenaline ride from start to finish! What amazes me to date is that this game put European developers on the map for good, it completely blew away Japanese racing games on graphics, music (yeah, nobody really likes cheesy generic Japanese rock or techno) and unique design (the developers Psygnosis in England hired in The Designers Republic to make the game look prefect on design for its time and era). Other games would follow this trend later on. The series continued on from here. 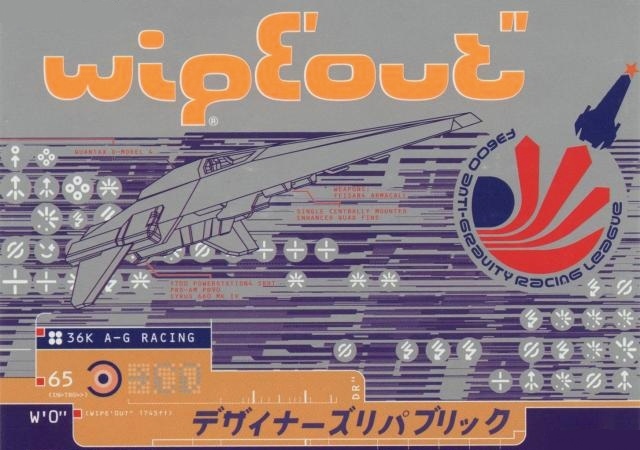 What followed was perfection for the Wipeout series. Wipeout 2097 launched the following year in 1996 and made the height of the series control wise. It took away the annoying crash physics, added a perfect set of weaponry and took the dark and gloomy future design one more step up. It looked and played incredible! Wipeout 3 came after a three year gap (why? ), and toned down the colourful menus, and delivered more subtle looking environments and tracks, while retaining the great gameplay from Wipeout 2097. The toning down in the design of course followed perfectly with the trend at the time with technobands look and image from album covers to venues. It was a unique example of the series following trends in music, design wise. However, what followed will not be forgiven for Wipeout fans. Like many unique PS1 series did when they went into the new generation of PS2, they failed. Wipeout Fusion was a mess; bugs, horrible controls and gameplay, cheap design and simply trying too hard to change. It killed the series and it would not re-emerge before the launch of the PSP. 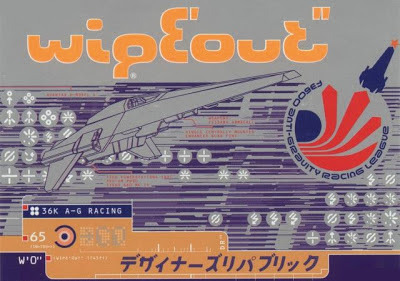 Where once again Wipeout was a launch title with unique qualities. Two great Wipeouts on the PSP later and one great one on the PSNetwork on PS3 in HD and the series stands tall again. I hope new gamers and younger generations get some of the “Wipeout feeling”, that combination of futuristic look, music and fast, adrenaline filled gameplay. However, nothing will be like the first three games, the time period and the rapid development in the games at the time just made it incredible.